The CONSTRUIT! project ‘Making construals as a new digital skill for creating inter-active open educational resources’ is funded with the support of the European Union under the Erasmus+ Programme (2014-1-UK01-KA200- 001818). The project aims at introducing new principles and tools for a computing practice that enables educators and learners to collaborate in creating live interactive resources (“construals”) that serve as personal, shareable ‘working models’ or understandings. 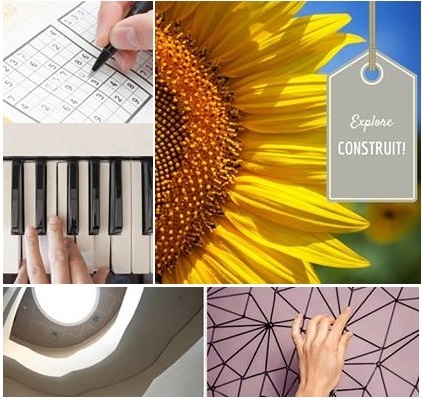 The main project outcomes are foreseen to be: a curriculum for making construals, an open source online instrument environment for making construals, an open online course on how to make construals and educational resources that support the teach-ing and learning practice. Several workshops with teachers, secondary school students and higher education students have taken place in Greece, UK and Finland aiming at giving participants hands-on experience of the JS-Eden online computing environment for constructing mental models of what we learn through experience, experiment and imaginative thinking. Project partnership: University of Warwick (UK) (coordinator), EDUMOTIVA (Greece), the University of Edinburgh (UK), Comenius University in Bratislava (Slovakia), Helix5 (The Netherlands), University of Eastern Finland (Finland).